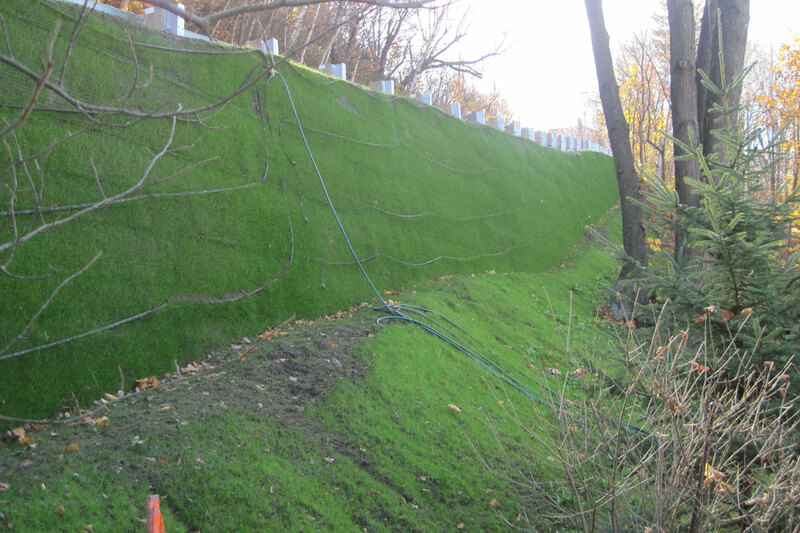 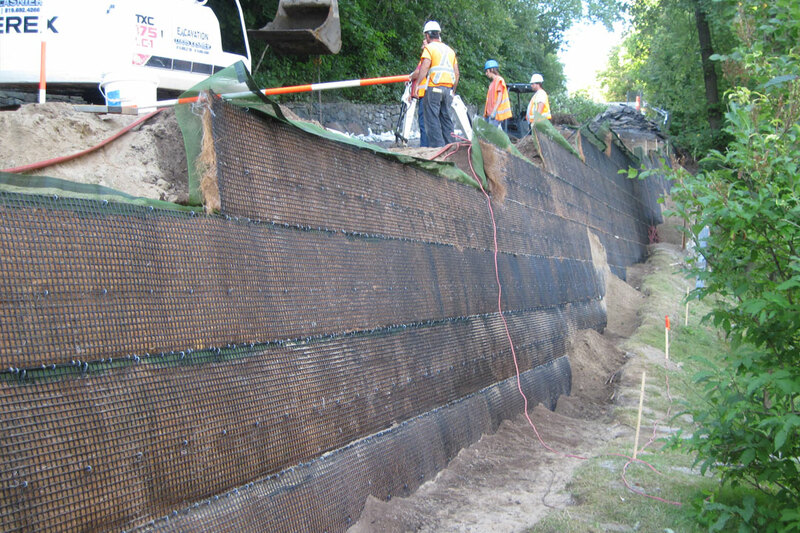 The Novamur is a mechanically reinforced wall that can be installed from 45 ° to 85 °. 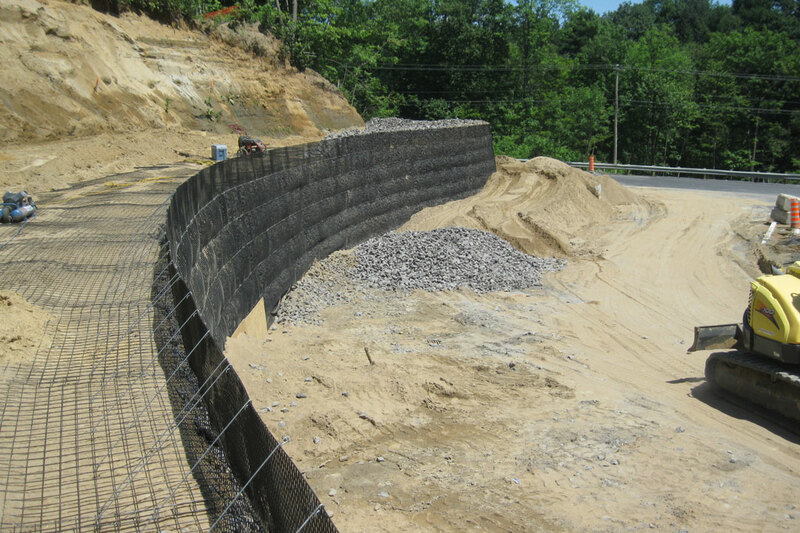 The front wire mesh retains the stones or topsoil in the case of a vegetated wall and the metal reinforcing mesh penetrates perpendicularly into the ground to anchor system. It is a modular system which will adapt without difficulty to the topography of the ground to be stabilized.